With baseball season imminent, thousands of fans and their major league teams will soon descend on stadiums across America to celebrate the sport. Major League Baseball (MLB) has become a national pastime in America; generating $10.3 billion in revenue for 2018. Judging by these figures, it is clear that baseball continues to hold a place in hearts, and traditions of Americans across the country. With people eager to immerse themselves in the sport, you will regularly find fans continuously seeking knowledge of every part of the sport – from its rich competitive history to the background of the players’ bats and tools. One of those commonly asked questions relates to not the players, but the baseball venues. Take a look at some of the largest stadiums that baseball fans can expect to play host to the season’s upcoming games across America. Dodger Stadium, Los Angeles: Initially opened in 1952, it is the home of the Los Angeles Dodgers and it comfortably claims the spot for the baseball venue with the most seating capacity. Although the current capacity stands at 56,000 people, the stadium has been designed to hold a crowd of up to 85,000. On the news front, it was recently announced that the stadium will play the host pitch to the 90th MLB All Star Game in July 2020. This will make the first time in 40 years it will host the game and it is already generating a lot of buzz. The game will see both the American Team and National Team battle it out for the honor of this mid-summer classic. 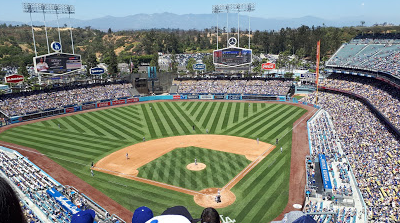 While Dodger Stadium holds the title for the largest seating capacity, it comes in on the smaller side in terms of the distance to center field, with 395 feet between the two points. Yankee Stadium, New York City: Coming in second for seating capacity, Yankee Stadium is notorious for its short porch and favored amongst left-handed hitters. The stadium is one of the more recent ones (opened in 2009) and is able to seat up to 47, 309 people. 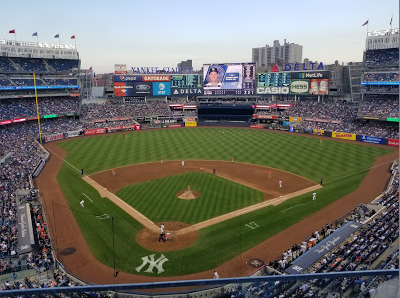 The Yankee Stadium has often been adjudged a hitter’s paradise and boasts the following dimensions: 314 feet down the right field, 408 feet down the center field and 318 to the left field. These dimensions put it right up there on the list of not only the largest stadiums according to seating capacity but also among the top hitters for the deepest outfield. Coors Field, Colorado: It would be remiss if the Coors Field was not mentioned in the list of notable baseball venues. 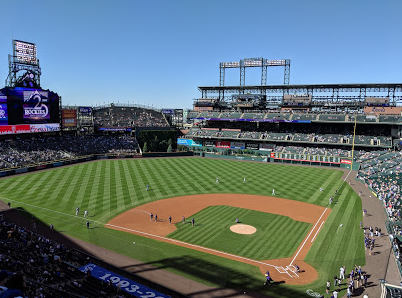 The stadium plays home to the Rockies and in 2018, the publication Denver Post ranked the location as the 14th best stadium experience for baseball fans. In 2017, the field drew around 2.59 million Rockies fans, bringing it to the seventh position within the major league. There have also been some upgrades to the venue recently. The Coors installed a new scoreboard that is more than 258 percent larger than the initial one. In addition, officials have also taken precautions to protect the fans by upgrading the netting behind the home plate and renovating the Club Level Bar. Opened in 1995, Coors Field boasts a seating capacity of 46,897, which provides ample seating for the throngs of fans. It is also the top of the charts for the home run factor for the 2019 season so far, according to park rankings released by ESPN. 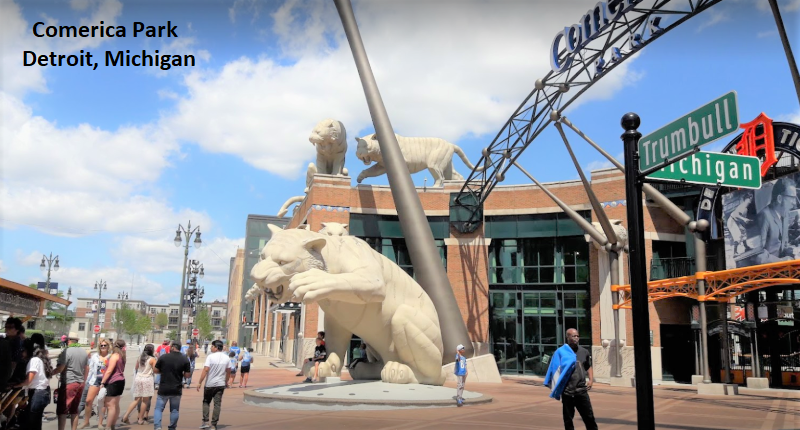 Comerica Park, Detroit: Comerica Park is located in Downtown Detroit and can seat up to 41,083 people. 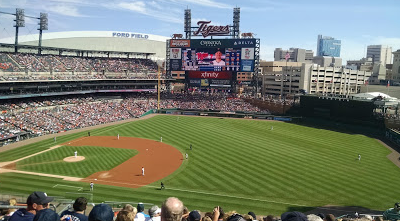 It also has the largest distance to center field (coming in at 420 feet) and is currently the home to the Detroit Tigers. While the stadium is not the largest by seating capacity, the seating arrangements and field view afforded continues to be a premium one and offers a perfect view to every fan. It also has a unique stripe that runs from the pitcher’s mound to the home plate. After criticisms to the initial dimensions of the outfield and its effect on home runs, the left-center field wall was amended to 375 feet; where it currently stands today. Each of these stadiums makes the pick for one reason or the other. Whether it is its ability to hold as many fans as possible or the one with the deepest outfield; they each add their own unique value to the baseball experience. Whatever your preference, everyone can agree: they are some of the most well-known stomping grounds for America’s second most beloved sport.